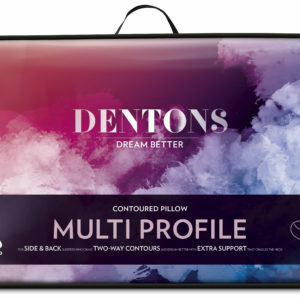 Discover our full range of pillows from leading brands like Bambi, Dentons and Minijumbuk. 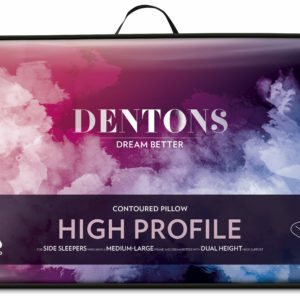 Pick the best profile for the perfect sleep – it’s an important decision as the 7 vertebra in your neck are 21% of the total 35 in your total spine. 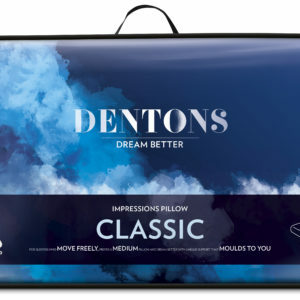 For side sleepers who have a medium large frame and dream better with dual height neck support. 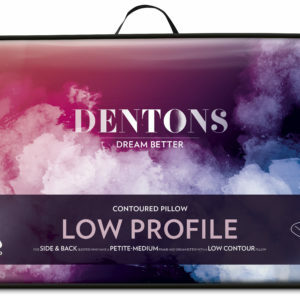 For side & back sleepers who have a petite medium frame and dream better with a low contour pillow. 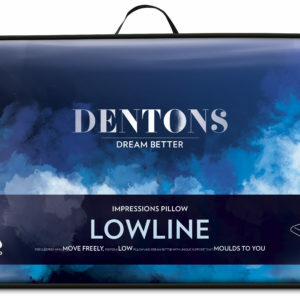 For side & back sleepers who crave two way contours and dream better with extra support that cradels the neck. 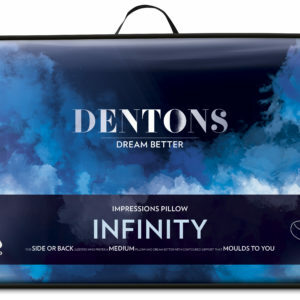 For side & back sleepers who prefer their pillow medium and dream better with 600 foam tips to caress the face. 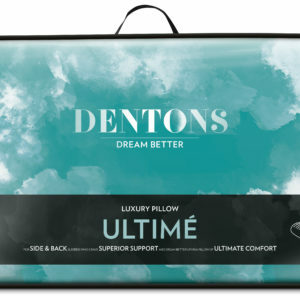 For sleepers who move freely, prefer a medium pillow and dream better with unique support that moulds to you. 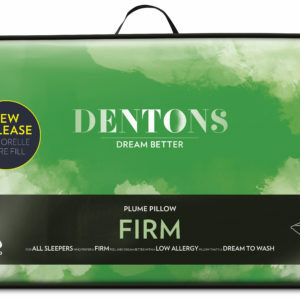 For little dreamers who count their sheep and dream better with a fluffy, low allergy pillow that’s easy to wash.
For side & back sleepers who crave superior support and dream better upon a pillow of ultimate comfort. 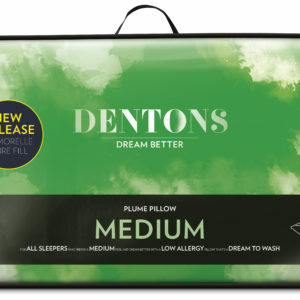 For all sleepers who prefer a firm feel and dream better with a low allergy pillow that’s a dream to wash.
For all sleepers who prefer a medium feel and dream better with a low allergy pillow that’s a dream to wash.
For pregnant mums who dream better on their side with contoured support to relieve back pain.